With 2017 coming to an end, we like to take a look at some of the social media stats during the year to see how we can adapt our own social media strategy, as well as our clients, heading into 2018. 2017 had some amazing new releases for country clubs and golf courses alike to use to grow their brands; from the growth of Instagram to the many new features of Instagram Stories, as well as Facebook allowing ways to create an even better facebook event for your country club and understanding how they rank your posts. 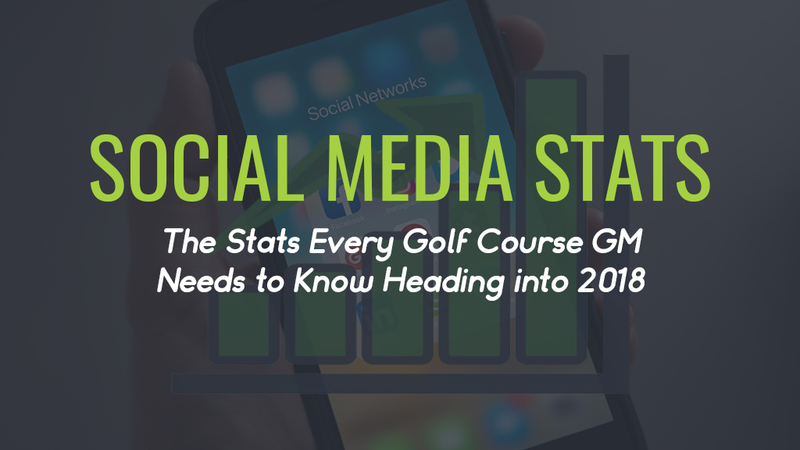 We talked about some innovative things this year as well for your country club using social media – like using Snapchat and ways you can attract millennials to your club, but now we wanted to give you the straight-to-the-point stats that you need to know heading into the new year!